California based auto-tuner ENLAES (ENLightened AESthetics) specializes in tuning all things German, and has now officially unveiled its latest modification kit for the BMW M6 Gran Coupe and it looks absolutely stunning. 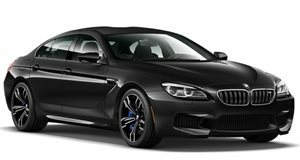 The aggressive new kit for the M6 four-door has been dubbed the “ETG6” and is entirely made from carbon-fiber pieces. The front end features a carbon splitter that gives the Bimmer more downforce and the rear of the vehicle has been given a trunk lip spoiler and carbon diffuser. ENLAES also tuned the suspension of the vehicle and slammed the car on a set of 21-inch gunmetal wheels. Although there is no word regarding whether or not ENLAES will also add performance upgrades to the M6 Gran Coupe, we still think the car looks awesome without any extra engine mods.